UPL's workforce is a key asset contributing to the Company's long term growth and sustenance. We believe that a safe and healthy work environment is a basic requirement for ensuring employee wellbeing. We make continuous efforts to enhance our occupational health & safety practices to enhance the Company's overall performance. Value created through our efforts are reflected in attracting and retaining quality talent, and also in enhancing the brand of the Company as a responsible Corporate. We ensure that Environment, Health and Safety (EHS) standards at all Units are continuously ahead of legislation and benchmarked with the best international practices and standards. Our commitment to provide a safe and healthy workplace to all has been reaffirmed by several national and international awards and certifications received by various Units. In accordance to the compliance of our safety norms; UPL has Central, Departmental and Unit level safety committees composed of 317 representatives from Management, Non-Management and Contractual workforce. 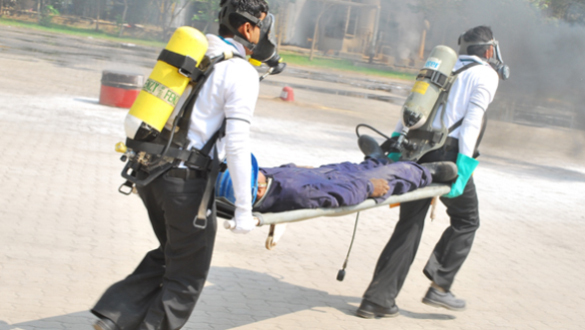 UPL Health, Safety and Environment (HSE) policy has been adopted by its Directors and applies to all Group employees. The Management at UPL is committed to safeguard health & safety for all by minimizing the adverse effects arising out of industrial chemical and agrochemical manufacture as well as marketing these products from one location to another. Necessary standards for Health, Safety and Environment Performance & Statutory Compliance shall be ensured through proactive steps during all operations including pollution control. The company shall make arrangements for employee information, education, training and re-training related to health, safety and emergency objectives at different levels - for interested parties and the general public, whenever required. The company shall prioritize the HSE aspect in all its decision-making, including the purchase of plant, equipment, machinery, materials and monitoring individual HSE performance in their career advancement. Monitor the health of all employees through pre-employment and periodical medical examinations. All unit heads review operations comprising the identification of significant environment aspects, prepare and monitor relevant HSE objectives and annual targets. The HSE policy objectives and performance shall be reviewed periodically and communicated to all employees, people and interested parties. Our safety culture is steered by its Safety Vision 2017. For making UPL best and safest chemical manufacturing company in world, a top driven approach is adopted. An HSE committee is established at Board level to periodically review Health, Safety & Emergency Management Systems (HSEMS) implementation. UPL takes safety of its employees very seriously and has taken up programmes to train our workforce It elevates the awareness level to maintain high level of safety and brings a change in safety culture of value chain. As per the guidelines of Factories Act, 1948, safety committee has been constituted which comprises of a minimum of 50% representation from non-management workforce. We ensure to comply and adhere to all the applicable laws and strive to go beyond compliance. In accordance to the compliance of our safety norms; UPL has Central, Departmental and Unit level safety committees composed of 291 representatives from Management, Non-Management and Contractual workforce. Daily briefing on safety before shift starts. 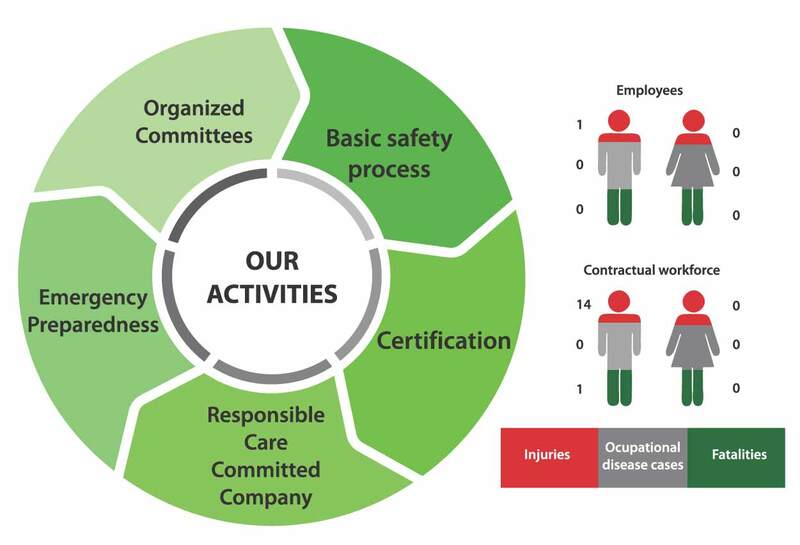 We have a separate safety audit team that takes responsibility of the safety compliance in all units. A dedicated construction safety manual is designed that continually improves safety standards and practices to achieve construction safety excellence. We understand the risk associated with the transportation of hazardous chemicals and hence we arrange periodic transporter meet & conduct trainings for transporting crew to ensure safety during transportation. Each operating shift commences with a 10-minute discussion on safety aimed at enhancing process integrity. Each project goes through HAZOP studies before commencement. All plant­ setting changes are first cleared by the HAZOP team before being implemented. 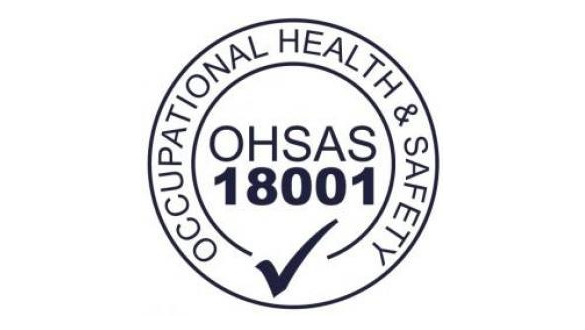 Our sites are certified with 'Occupational Health and Safety Assessment Series (OHSAS 18001)’ certification. We are presently engaged in adopting the Integrated Management System encompassing the requirements of ISO 9000, ISO 14001 and OHSAS 18001 across all our manufacturing facilities. 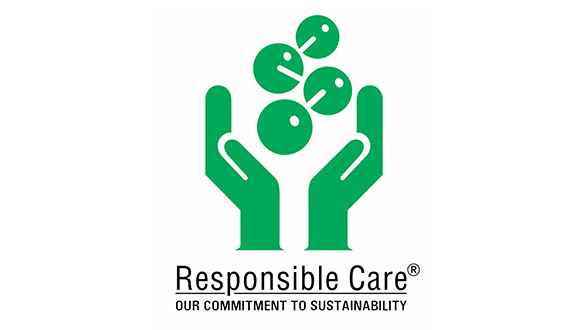 Responsible Care is a global, voluntary initiative developed autonomously by the chemical industry for the benefit of the chemical industry. This initiative runs across 52 countries accounting for nearly 90% of the global chemical production. UPL is a recognized Responsible Care company, and was awarded the use of its logo. We voluntarily adopted the practice codes of the Responsible Care (RC) initiative accepted by Indian Chemical Manufacturers' Association and implemented the ISO - 14001: 2015 (Environmental Management System), demonstrating our commitment towards continuous HSE performance improvement. Chemical and industrial disasters at manufacturing plants are not inevitable. At UPL, we emphasize 'zero tolerance' as an ongoing standard in disaster prevention. However, human errors, operational dimensions and the availability of relevant information during various disaster management phases have emerged as critical concern areas as well. Starting with manufacturing plants, prudent decisions comprising site selection, public participation in clearance, industrial layout planning, disaster mitigation, and on-site and off-site emergency co-ordination strengthen our comprehensive disaster management framework at the local and district levels.